US government has taken up several actions to deport illegal immigrants who have criminal record. 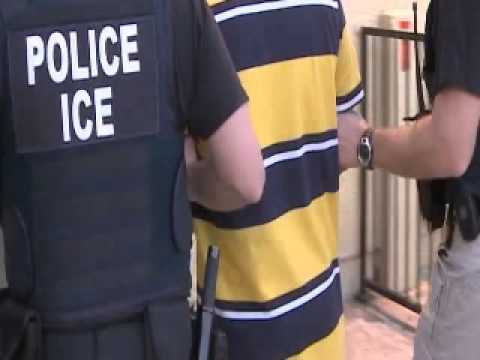 It has increased number of agencies to find undocumented immigrants. This is disclosed by ICE (Immigration and Customs Enforcement), US immigration agency and given that they have enlarged their security structure by appending additional agencies to existed ones. As per USICE statements, over 25% of agents are assigned the task of recognizing undocumented immigrants with criminal offence. US immigration agency has made this decision upon observation of reduction in immigrants’ deportation for ensuring public safety. The agency has appointed 150 officials additionally to enhance the searching system throughout the US. This plan was actually initiated on 14th May 2012 without an official notice. The plan aims to increase the number of search teams from 104 to 129. Main reason for this increment is reduction in number of undocumented immigrants throughout US. The official statements in Los Angeles Times expresses that every search team targets to confinement of 50 vulnerable undocumented immigrants in a month. But these statements are denied by US ICE officials. John Morton, Director of ICE affirmed that it is best utilization of constrained resources to eliminate big threats of public safety. He also stated that new plan targets immigrants who have criminal record. Ultimate goal is to ensure public safety which can be achieved through these new plans.